Paper Pawz: You Flamin-go girl! 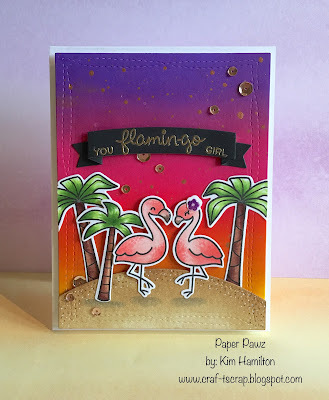 Made this one for the current challenge over at the Lawnfawnatics Challenge Blog - Custom Sentiments! 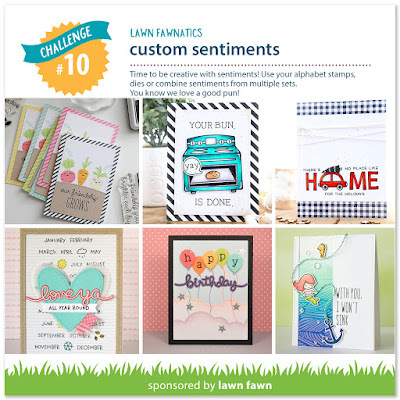 One of my favourite things about Lawn Fawn is the puny sentiments, they are always such fun! I started with a Neena Solar white 80lbs panel and used a mix of Wilted Violet, Picked Raspberry, Spiced Marmalade and Mustard Seed Distress Inks and blended them on my background panel. I then splattered bronze Distress Paint on the panel. I die cut a second panel to make my sandy hill and used both Antique Linen and Gathered Twigs Distress Inks. I then toped off the hill with my Gathered Twigs Distress Marker and my white Gellyroller for definition. I stamped out my elements from Lawn Fawn's Flamingo Together and the trees from both the Critters from the Past and Life is good sets. Took out my trustee Copic sketch markers to color my images. I put the base together and then gold embossed the sentiment on a Lawn Fawn sentiment banner. Go take a look at the challenge it is such fun! Totally gorgeous card! That blended sky is simply amazing! 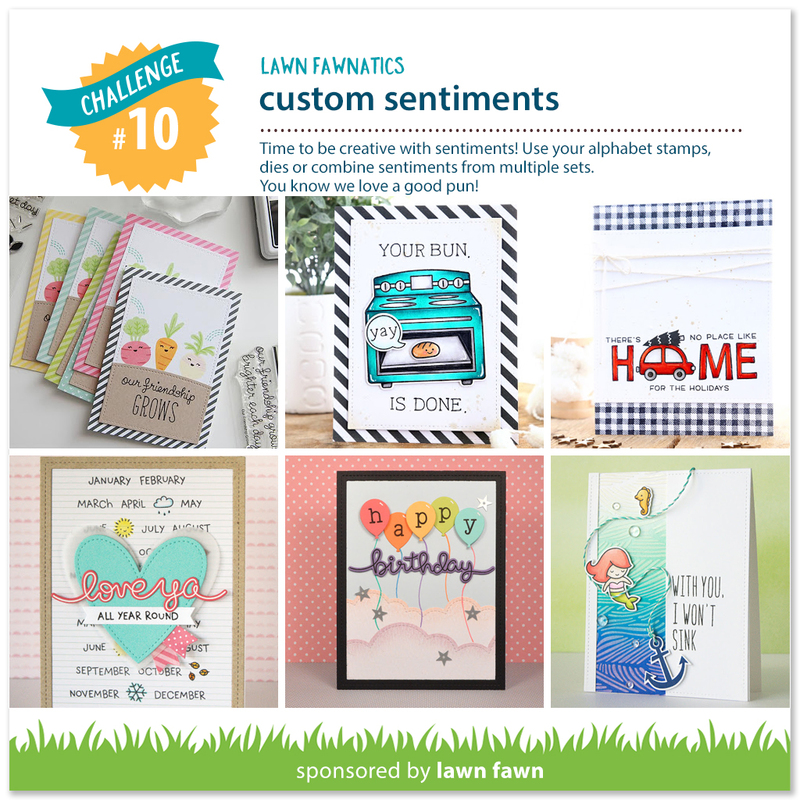 I'm so glad you joined the custom sentiment fun at Lawn Fawnatics!